... you'd never get me to eat this microwavable beef tongue TV dinner, even if it were the last thing on my shelf. Two minutes in the microwave! Just 376 calories! No refrigeration needed! In Louisiana, it's very common to roll out yeast dough in the shape of a hand, fry it and eat it smothered in butter and delicious cane syrup. 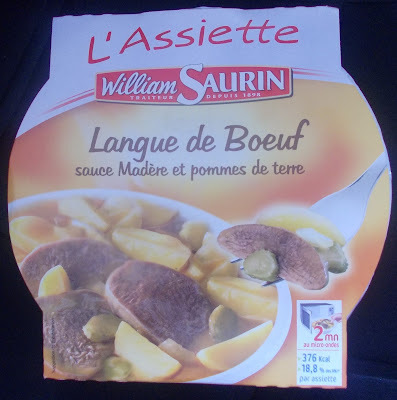 We call that dish langue de bouef, for some reason, although it looks more like a baseball mitt than a beef tongue when cooked! I'd rather go to bed on an empty stomach!